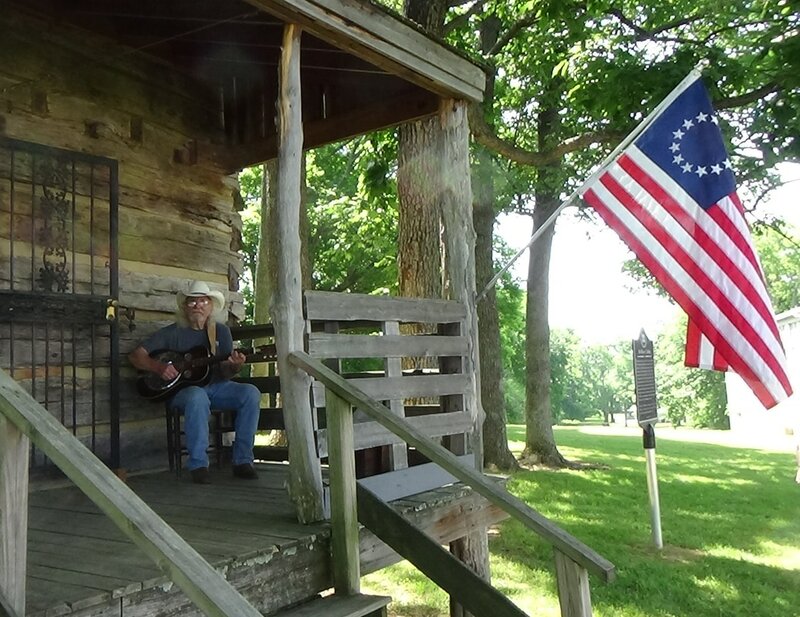 The Bellevue Harpeth Historic Association will meet on Monday, June 18 6:30 - 7:30 PM at the Bellevue Library. Sheri Weiner will be our speaker. All are welcome to attend. Please join us!! Born August 14, 1924 and died January 6, 2018. Operated Bellevue Market with husband Frank Carter for over 30 years before his untimely death in 1996. Honorably served as a Harpeth Valley Utility District Commissioner for 24 years. Founding member of St. Matthew's Catholic Church. Founding member of the Bellevue Harpeth Historic Association. Survived by children Priscilla Fizer and husband Joe, Pat Lanier, Frank Carter and wife Maria, Betty Matthews and husband Michael, and Carole Carter; six grandchildren, and eight great-grandchildren. Visitation was held on Tuesday, January 9, 2018 from 4-7 p.m. at Marshall Donnelly Combs. Service was held on Wednesday, January 10, 2018 at 1 p.m. with visitation held two hours prior to service at St. Matthew's Catholic Church 533 Sneed Rd. Franklin, TN. Burial followed at Harpeth Hills Memory Garden on Hwy 100. 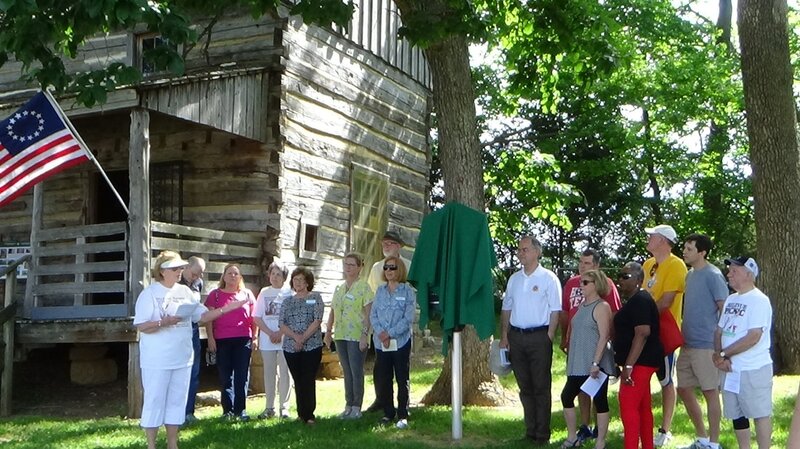 The dedication for the new historic marker at the Belle Vue cabin at Red Caboose Park was held Saturday, May 20 during the 40th annual Bellevue Picnic. Paula Allen introduced dignitaries. The Carter family (DeMoss descendants) gathered at the marker and Donnie Winters entertained. Evelyn Underwood-Miles read the inscription on the marker. 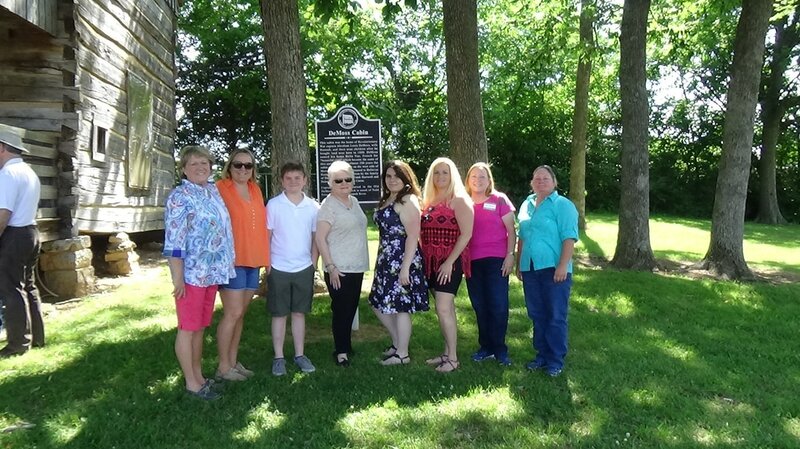 BHHA board members and docents: left to right: Paula Allen, Jim Knight, Betty Matthews, Eileen Cartwright, Nina Tackett, Chris Browning, Wayne Adams, Evelyn Underwood Miles. Rep. Jim Cooper, State Rep. Bo Mitchell, Metro Councilwoman Sheri Weiner, Metro Councilwoman Sharon Hurt, State Rep. Steven Dickerson, Metro Councilman Dave Rosenberg, and D. E. Ryan founder of the Bellevue picnic. 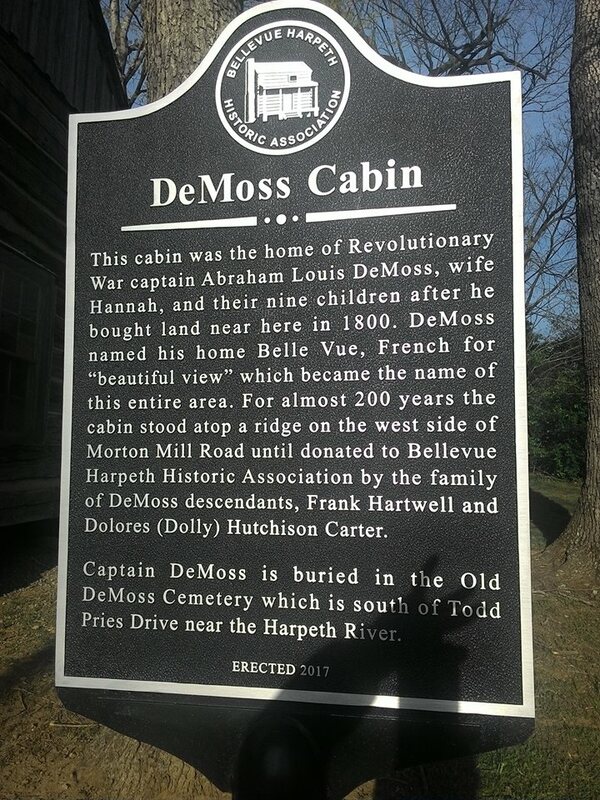 The Carter family are descendants of Abraham Louis DeMoss and were on hand for the dedication. Pictured are: Claire Baker, Beth Baker, Baron Edwards, Priscilla Carter Fizer, Ana Edwards, Adri Edwards, Betty Carter Matthews, Carole Carter. Evelyn Underwood-Miles reads the plaque . Right: Donnie Winters entertains with his dobro. New historic marker is in place at the cabin. Dedication at Bellevue Picnic on May 20, 2017 following opening ceremonies! Please go through the pages and enjoy the photographs of the Bellevue area. Donate or Join our Association and help preserve the history of Bellevue and the surrounding area. This site is still a work in progress. Please continue to check back. 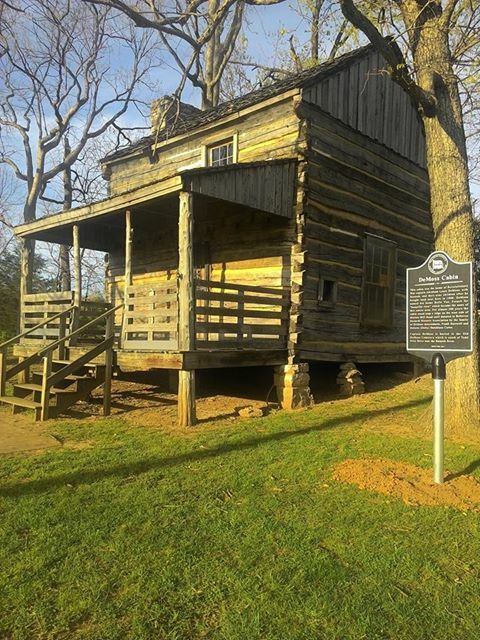 The Bellevue Harpeth Historic Association is dedicated to preserving and educating the public about the history of Bellevue and surrounding areas. The primary focus is on the Belle Vue I Log Cabin, however, meetings feature speakers of various historical interest. If you are interested in becoming a member, please join by clicking the appropriate button. Moniey raised through membership and donations help maintain and repair the cabin as needed.